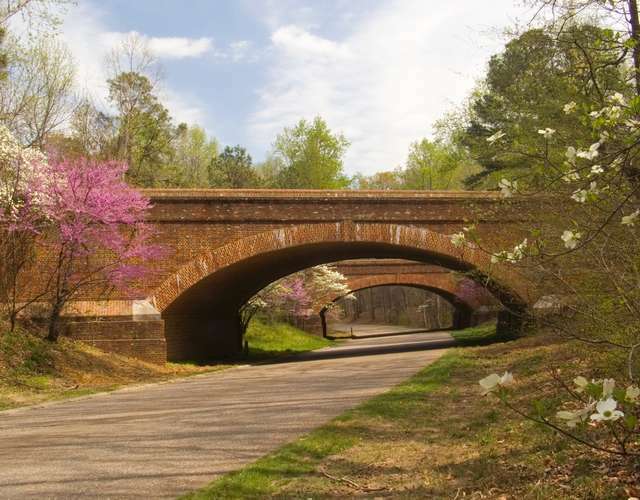 The Colonial Parkway is a scenic drive unlike any other in the country, and I don't say that lightly. 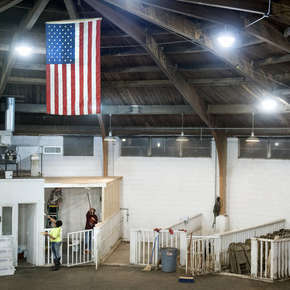 For starters, it connects three sites crucial to early American history. 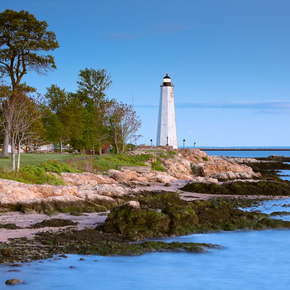 The first is Jamestown, the first permanent settlement of English colonists in America that dates back to 1606. The second is Colonial Williamsburg, AKA the theme park for history buffs, where the one-time capital of the colony of Virginia has been recreated to appear as it would have during the American Revolution, costumed characters and all. 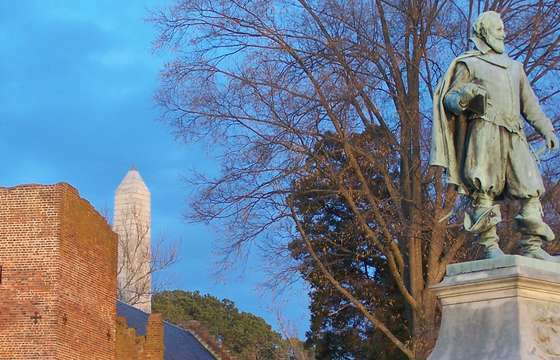 The third is Yorktown, the town where George Washington and the French Fleet defeated British General Charles Cornwallis and his redcoat army, effectively ending the American Revolution. History! But back to the route. The NPS really works to make it feel like a trail or path from centuries ago. You know, except for the cars. 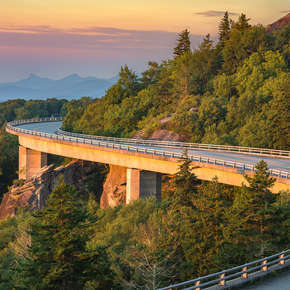 A few features of the parkway include the fact that it's toll-free, semi trucks have been banned, and the speed limits range from 35 to 45 MPH. The two-lane river-gravel road doesn't have any line markings on it and is mostly lined with trees that block any views of modern society. They even take great care to shield construction on other roads from the view of the parkway. The drive between these three sites really sets the scene and puts you in a frame of mind to fully appreciate the history here. Plus, it's virtually impossible to experience road rage or any kind of stress as you cruise along, appreciating the serene setting, which is always a refreshing change of pace. Start in Jamestown, the first permanent English settlement in the Americas. Originally established as "James Fort" in 1607, it managed to survive some really rough times: drought, a tenuous relationship with the Native Americans in the area, disease, famine... I could go on, but you get the idea. Perhaps the most famous story from these early days is that of Pocahontas and John Smith. This probably goes without saying, but the Disney version of events is... wildly inaccurate. But, the fact remains that Pocahontas, John Smith, and John Rolfe were real-life figures who lived at Jamestown, and you can walk in their footsteps. Today, there are two attractions in the Jamestown area dedicated to these early settlers: Jamestown Settlement and Historic Jamestowne. Jamestown Settlement is a living history museum, with recreated buildings and costumed interpreters just down the road from the real site. Inside, there's an edu-taining film, a detailed timeline of Jamestown history between 1607 and 1699, when Virginia's capital was moved to Williamsburg, and loads of artifacts. 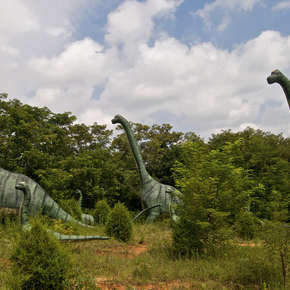 Outside is the living history portion. 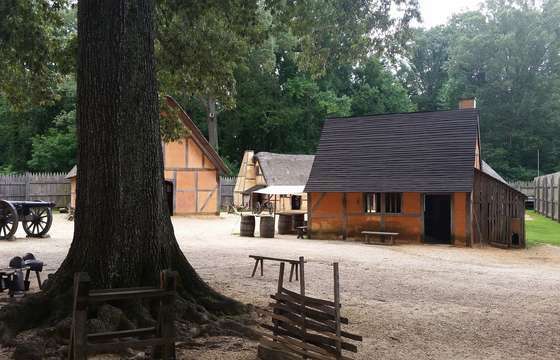 All in all, it's a visual, hands-on take on history, complete with a Powhatan Indian Village (based on archeological findings at a former Paspahegh Indian village) and recreations of the three ships that brought the original colonists to Jamestown in 1607. Historic Jamestowne is the actual location of the fort and settlement. It's run by the NPS, and though it doesn't have a living history village, it's a working archaeological dig site, which is pretty sweet. You can visit the remains of the church where Pocahontas married John Rolfe (that's right, as anyone who has seen Disney's Pocahontas 2 knows, she marries John Rolfe who is way hunkier than John Smith). They've also uncovered the graves of early settlers, and have identified a few who they believe to be victims of cannablism. This is definitely not the Disney verison of events! For something a little less... dark, pop over to Historic Jamestowne's Glasshouse. America's first English industrial manufacture business was making and exporting glass to England. Despite the fact that the New World was replete with materials for glassmaking, the initiative had some success but ultimately didn't catch on. It was John Rolfe who discovered that the conditions in Virginia were ideal for growing plenty of tobacco to export; slaves were then brought over to help grow it, and thus the country's fate began. But anyways, back to glass. 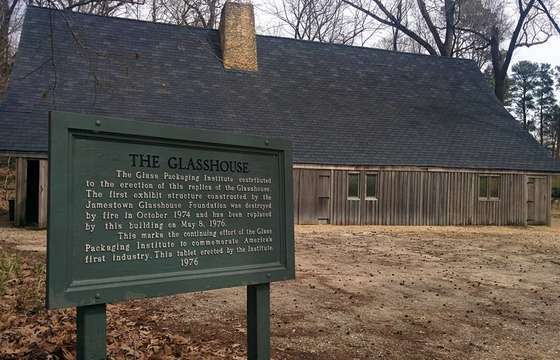 Historic Jamestowne operates a glasshouse where craftsmen demonstrate the 17th-century way of blowing glass. 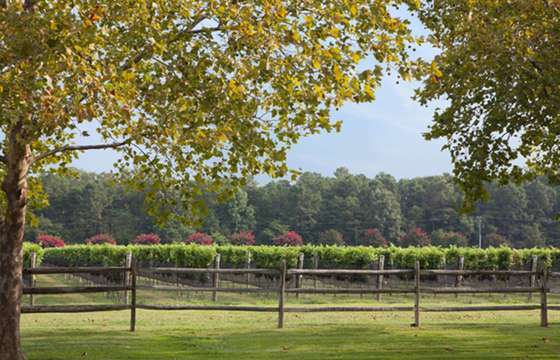 Take a quick break to relax and enjoy the serene beauty of Virginia at the Williamsburg Winery at Wessex Hundred. Book a tour of the vineyard, which ends with a tasting in their reserve cellar, and can even include a picture-perfect outdoor lunch. Wessex Hundred also has two onsite restaurants, the more casual Gabriel Archer Tavern and the ritzier Café Provençal, along with the hotel. There's also a tasting room at Merchant's Square, adjacent to the historical district of Williamsburg, which has mead, cider, and sparkling wine available as well. 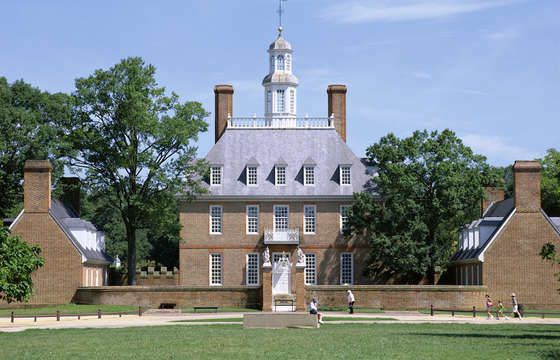 Colonial Williamsburg is the world's largest living history museum, and it's kind of the crown jewel of the Colonial Parkway. A visit here requires a guide in and of itself, but the most important thing to know is that you do not need to buy a ticket if you just want to make it a quick experience. You can walk around the grounds for free. A ticket gets you into all of the shops, demonstrations, museums, access to the shuttle, etc. A one-day pass is $40.99 and a two-day pass is $50.99. Now, you could very, very easily spend two days here and see most everything this incredibly detailed attraction has to offer. If you do buy a ticket, you'll probably want to make a game plan to make the most of it, since there's SO MUCH to see and do. Highlights include a tour of the Governor's Palace, R. Charlton's coffeehouse for some drinking chocolate, the fife and drums march, Chowning's Tavern for a pint, the museums dedicated to decorative arts and folk art, the evening ghost tours, carriage rides, and the trade shops like the blacksmith, the apothecary, and the garden, among others. 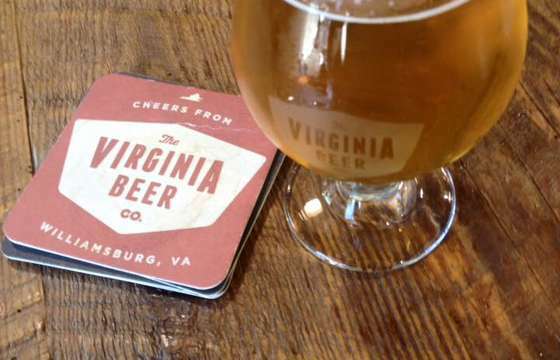 If the winery wasn't your taste, perhaps you'd prefer a stop at the Virginia Beer Company for a perfect brewery/beer garden atmosphere. Their four staple brews (an oatmeal stout, a dry-hopped amber, a citrus wheat and an IPA) offer something for even the most unsure beer-drinker, and their experimental IPA program is great for anyone craving something a little different. Plus, they've always got a food truck posted up outside their taproom. The third and final stop on the Colonial Parkway is Yorktown, where the American Revolution effectively ended. After General Cornwallis's defeat, the fighting went on, but it was this battle that decided the outcome of the war and sealed America's fate forever. 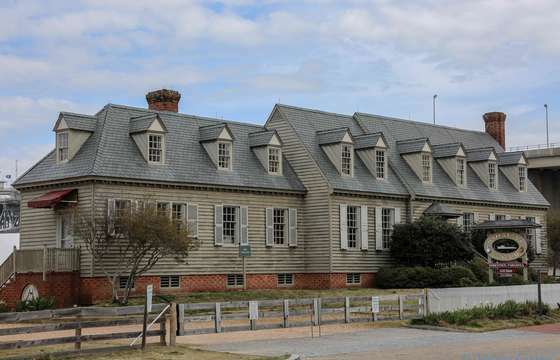 The American Revolution Museum at Yorktown (run by the people behind the Jamestown Settlement) features a comprehensive museum that outlines the events leading up to the Siege of Yorktown and beyond, all the way to the Constitution. 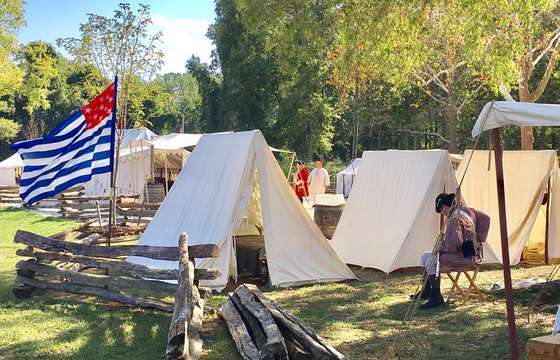 Outside, you'll find more living history exhibits, including a Continental Army encampment where you can drill with wooden muskets and a Revolutionary War-era farm. As you follow the York River to its terminus at the Chesapeake Bay, take a moment to learn about the importance of the water to this area, from the Native Americans to the colonial and Revolutionary War era to the Civil War and beyond. 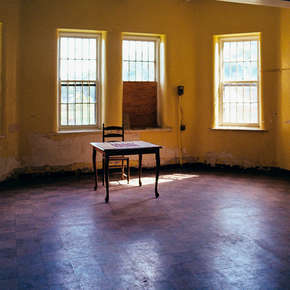 The Watermen's Museum preserves this unique legacy. From boatbuilding to clam and oyster digging to pirating, there's some interesting history here. See antique boats, check out the windmill, browse their nautical-themed gift shop, and gain a new appreciation for the water, all it provides us with, and the people who spend their lives dedicated to it! 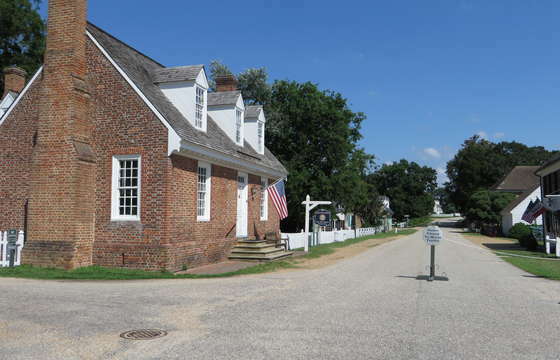 Spend some time exploring Historic Yorktown. Watch the boats, browse the shops and pubs and restaurants at Riverwalk Landing, take a tour of the town, and admire the charming and historic beauty of this waterside town. The beach is an especially perfect place to relax after an in-depth drive along the Colonial Parkway. 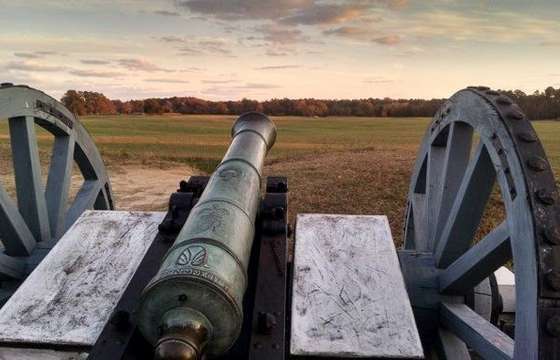 End your excursion at the actual Yorktown Battlefield. Start at the visitor center for the informational film and the exhibits (including field tents used by Georg Washington and his army) and then drive or walk through the battlefield to check out the earthworks and fortifications and cannon still left here. Make sure to visit Surrender Field and the Moore House, where the surrender negotiations took place before ending the tour at the Yorktown Victoy Monument. 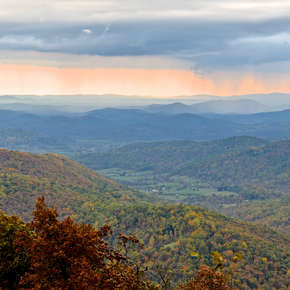 Summer is the ideal time to cruise the parkway, as more attractions and shops will be open. That includes Busch Gardens Williamsburg, an excellent theme park not too far off of the parkway. Plus, the Colonial Parkway is pretty close to several beaches. Although, Williamsburg at Christmas is still a lovely experience that any fan of the holidays shouldn't miss.